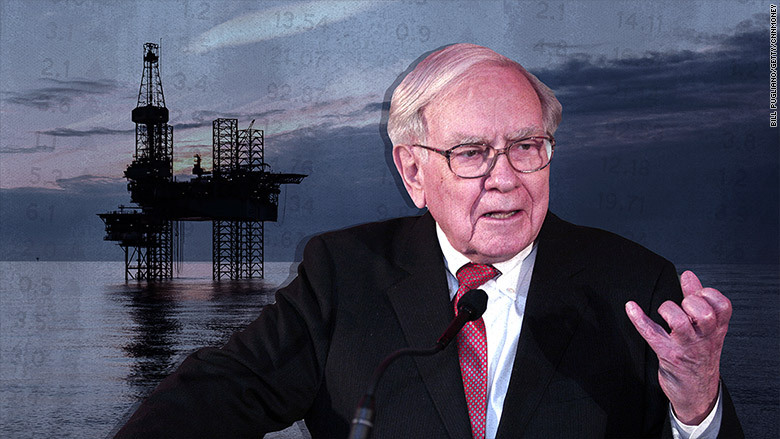 Warren Buffett is pumping up his bet on oil stocks. At the end of 2015, Buffett purchased a sizable stake in oil pipeline company Kinder Morgan (KMI). The stock shot up 10% Wednesday morning after Buffett's buy was revealed in a routine regulatory filing on Tuesday evening. Buffett's most famous investment advice is "be fearful when others are greedy and greedy when others are fearful." He appears to be living by that motto when it comes to energy stocks. In addition to Kinder Morgan, Buffett has increased his stake in oil refiner Phillips 66 (PSX). He has bought over $1 billion more of the stock just since the start of 2016. That's on top of the $5 billion he had previously invested in the company. Related: America's bull market may end soon, but..
Buffett also owns shares of Suncor Energy (SU), a Canadian company that operates in oil sands. Oil prices plummeted from over $100 a barrel in the summer of 2014 to barely $30 a barrel today. Energy company stocks have nosedived along with the price. Some smaller drillers are even going bankrupt because they can't make enough profit with crude oil so low. The world clearly has too much oil, but Buffett believes some companies are positioned to benefit from it. The United States and OPEC have kept pumping oil despite the low prices. No one wants to give up market share. That oil still has to go through pipelines (like Kinder Morgan's) and to refiners (like Phillips 66). Buffett plowed nearly $400 million into Kinder Morgan. It's not clear exactly when the Oracle of Omaha bought the stock in the final quarter of 2015, but the company had a terrible December, shedding nearly 37% of its value. 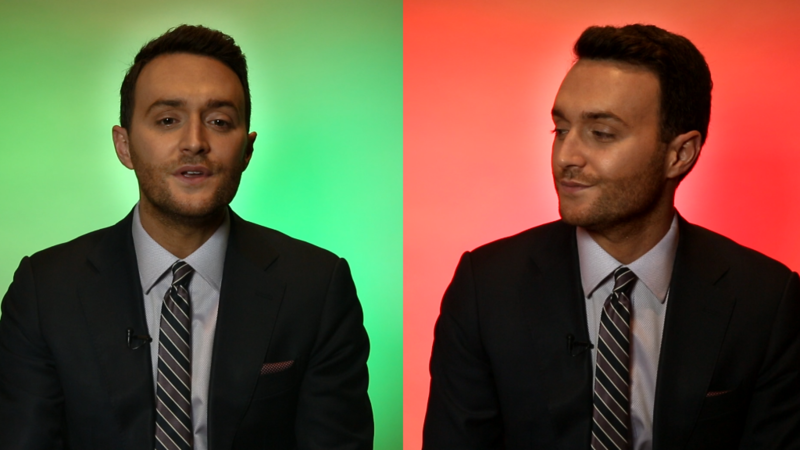 --CNNMoney's Chris Isidore contributed to this article.